My job here at the National Park Authority means that I get the opportunity to be out and about in the North York Moors and get to places that most don’t get the opportunity to see. 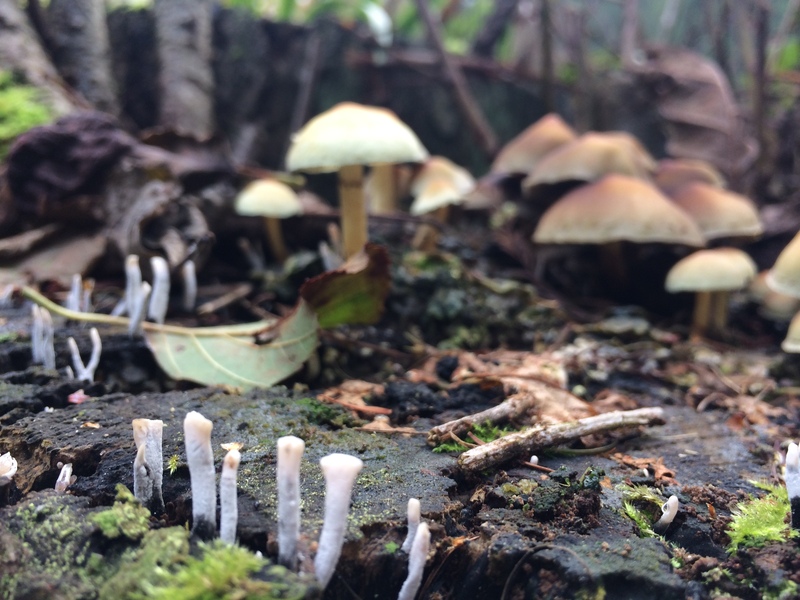 These hidden places are special for all sorts of reasons, in particular I get the chance to see some extraordinary woodlands – I admit I might be a little biased. Recently we were out monitoring a woodland planting project near Castleton which meant we had to trek through a small existing woodland to get there. 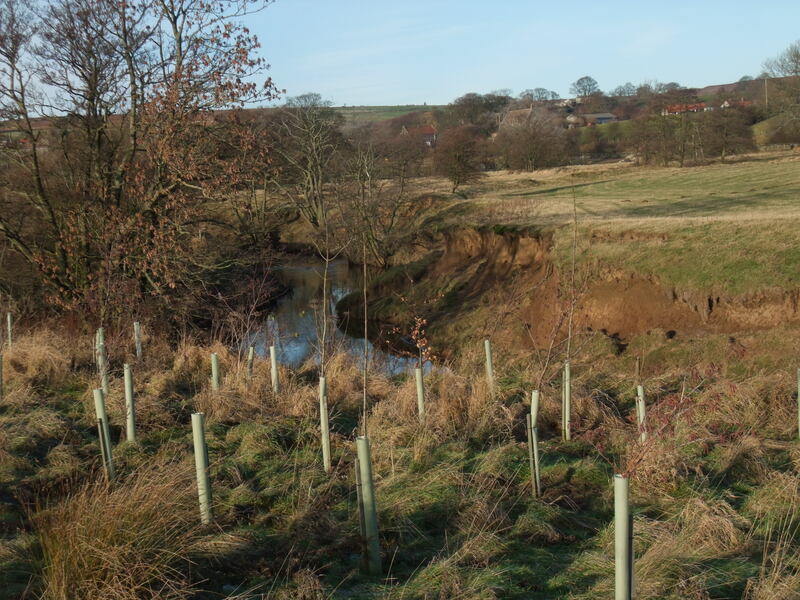 This was a combination of well-developed riparian (wet) flood plain woodland along river margins, wet marshy grassland filled with flowering plants and ancient woodland remnants creeping up the valley sides including oak, birch, hazel, alder and willow. Many of the woodland spring flowers were still in bloom and the woods were a lush green and bursting with insect and bird life. As we approached the edge of this woodland I noticed something wriggling in the grass – it was a slow worm! Coming across this legless lizard species (Anguis fragilis) was a first time for me. 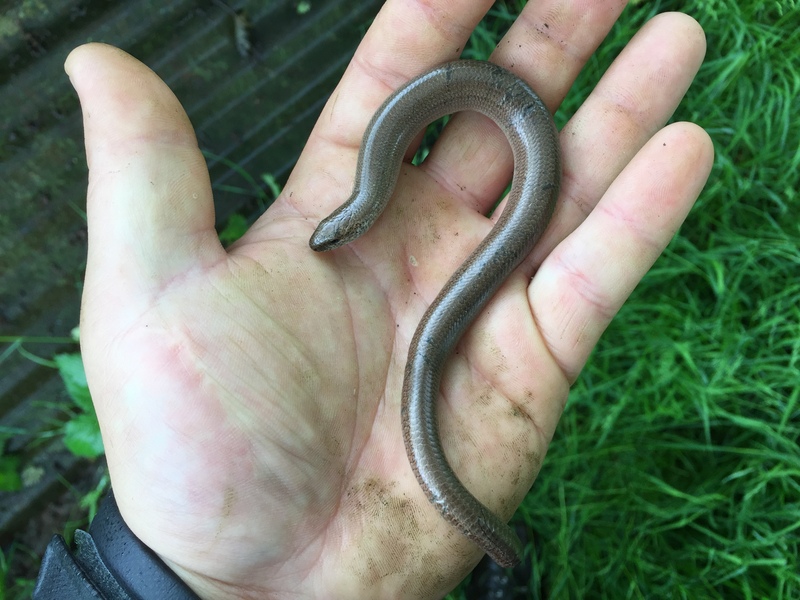 Obviously I wouldn’t usually pick up/disturb wildlife but in this case I took the opportunity to move the slow worm to the cover of an old iron sheet as they are quite high up on the menu for many predatory species (birds, adders, badgers etc.). On the way back as we ducked, scrambled and tramped back through the same woodland I almost tripped over what can only be described as a large mound of leaf litter on the edge of a clearing. 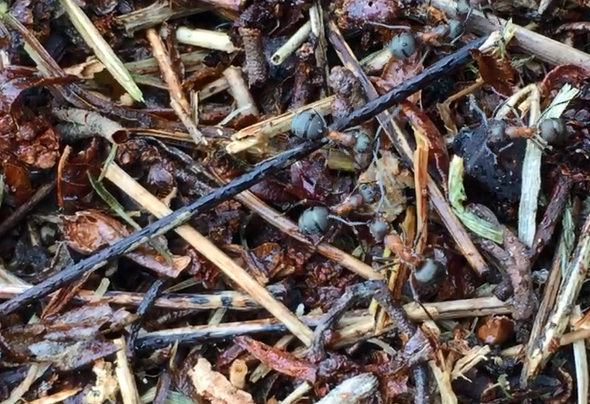 As I looked a little closer I noticed that the surface of the mound was moving – it was alive with wood ants! I was surprised to see them here as. 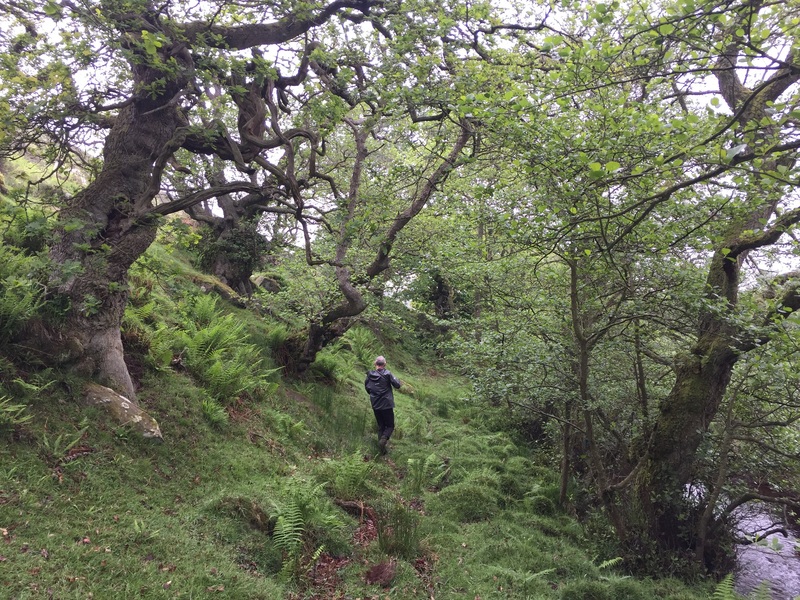 I previously worked in Scotland and had always associated wood ants with more northern forest habitats. But they were definitely wood ants and they are surely an indicator that this particular woodland is in good ecological health. The Northern Hairy Wood Ant currently has a near-threatened conservation status. Northern Hairy Wood Ants ‘farm’ sap-sucking aphids (that favour oak and birch) for their honeydew. They gently stroke the backs of the aphids which then produce the sugar rich liquid in exchange for protection, and the ants use it to feed their young. The ants take specific roles in the aphid farming process including; ‘shepherds’ who collect the honeydew, ‘transporters’ that move the honeydew to their nest, ‘guards’ that protect their aphids from competitors, and ‘scouts’ that search out new aphid colonies. They employ a polydomous (many homes) nesting strategy whereby they have a number of nest mounds which operate as a single colony. The founding of additional nests allows for the expansion of the colony allowing it to grow and capitalise on new foraging and feeding opportunities spreading out through suitable habitat. If a smaller outlying nest is attacked or in danger then it will be abandoned and the inhabitants will return to the central nest. Similar to other ants foraging workers leave pheromone trails, to good nectar sites or to groups of aphids, which direct other foragers to these valuable resources. The trails can persist for months. The nest mounds of Northern Hairy Wood ants provide accomodating habitat for other invertebrates too. These include a variety of beetle species as well as the Shining guest ant (Formicoxenus nitidulus). This ant species lives within wood ant nesting colonies, accepting food from the host species and establishing its own discrete nests inside hollow twigs within the larger nest, raising its own brood. The Shining guest ant is a species of conservation interest, a priority species of the UK Biodiversity Action Plan and listed as ‘vulnerable’ on the IUCN red list. The intricacies of woodland ecology are often complex and astounding. My job means I work on woodland planting and creation and by the very nature of the timespan of trees I know that I’m likely never to see these new woodlands in their future glory. Therefore it’s very important to me to keep a perspective, looking at woodlands at a landscape and spatial scale and considering woodlands over their likely lifetime. Woodland visits like this one are what inspire me to want to create new woodlands and plant more trees, to establish the woodlands of the future. 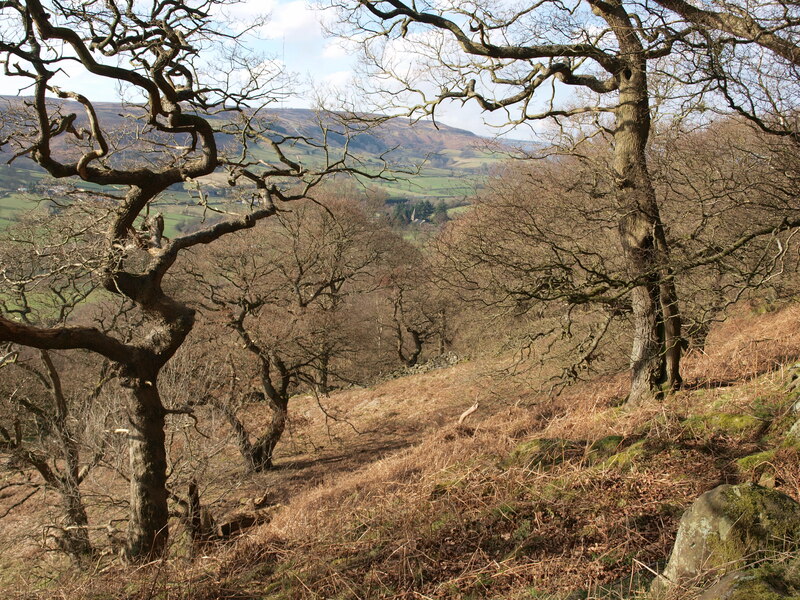 If you might be interested in creating woodland in the North York Moors and would like more information about opportunities please contact me or call on 01439 772700. This is a good example of the time and effort it can take to change a landscape for the better. The Trennet Bank Project was initiated back in 2013 (although the wish to do something here had existed for much longer than that). 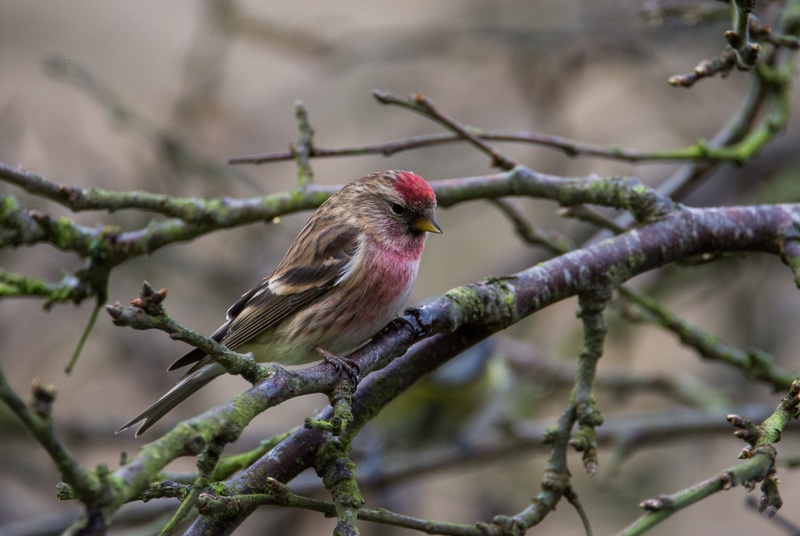 We’ve now achieved the major part of the planned work with the removal of conifers and the start of the gradual restoration of the site to moorland and native woodland. Trennet Bank is on the eastern edge of Bilsdale West Moor, just west of the village of Chop Gate. Set on the top of the bank was Trennet Plantation, a 20 hectare 20th century conifer plantation (Sitka spruce and Lodgepole pine) planted on moorland in the late 70s/early 80s. 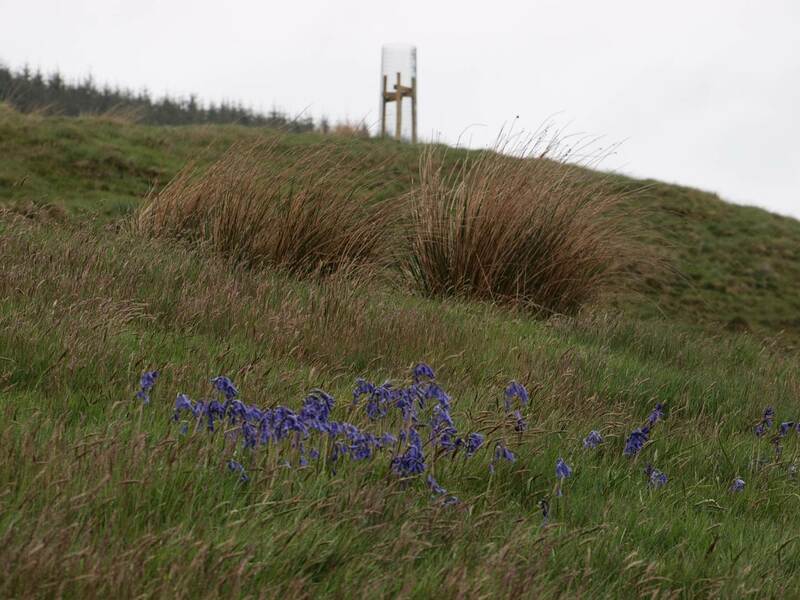 Since then the plantation was identified as an inappropriate forestry development at this location in terms of landscape and environment. Because it was so high on the horizon it stood out on the skyline from a number of vantage points and because it was surrounded on three sides by important moorland (designated Site of Special Scientific Interest, Special Protection Area, Special Ara of Conservation) it was isolated from other woodland. In fact it stuck out like a sore thumb. In addition, there was no future as a working plantation (plant-grow-fell) as it had become uneconomic to manage and harvest the timber, because of its location. So the trees would eventually start to be blown over leaving very little ground vegetation and therefore this would lead to erosion. From a National Park Authority point of view Trennet Bank Plantation provided an ideal example of where to put into practice the North York Moors Management Plan policy – The removal of plantations from inappropriate sites will be supported where this will deliver landscape enhancement or other environmental benefits. The first requirement was the creation of a temporary access route from the plantation on the hillside down to the farm below and then onto the main road. 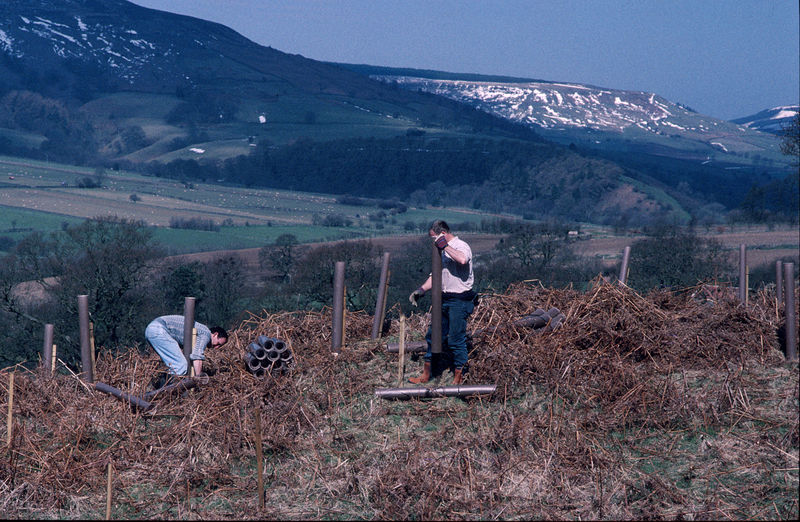 This was a more achievable alternative to trying to take the trees up over the designated moorland. It meant building up the existing track including the provision of a new bridge so that the route could be used by timber lorries, and by machinery accessing the site to fell the trees. Subsequently once the conifer removal was completed the track was reinstated to ensure it was suitable for continued farm use. During and after the work, farm stock had to continue to be managed with fencing and gates, to allow the farm to function. To remove the conifers a felling licence was required from the Forestry Commission. 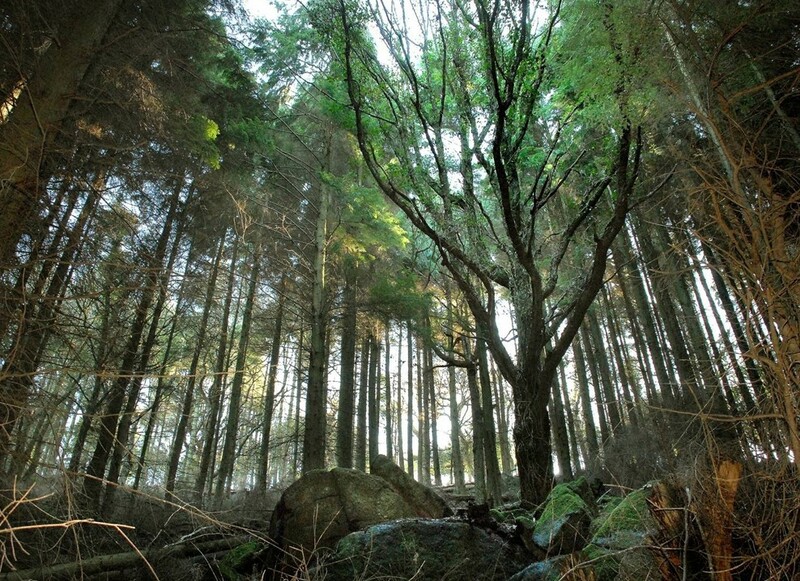 A felling licence requires a commitment to replant so there is no net loss of woodland. As the idea for Trennet Bank was to remove the existing woodland, the subsequent native woodland and wood pasture planned for the site wouldn’t amount to the required 20 hectares. 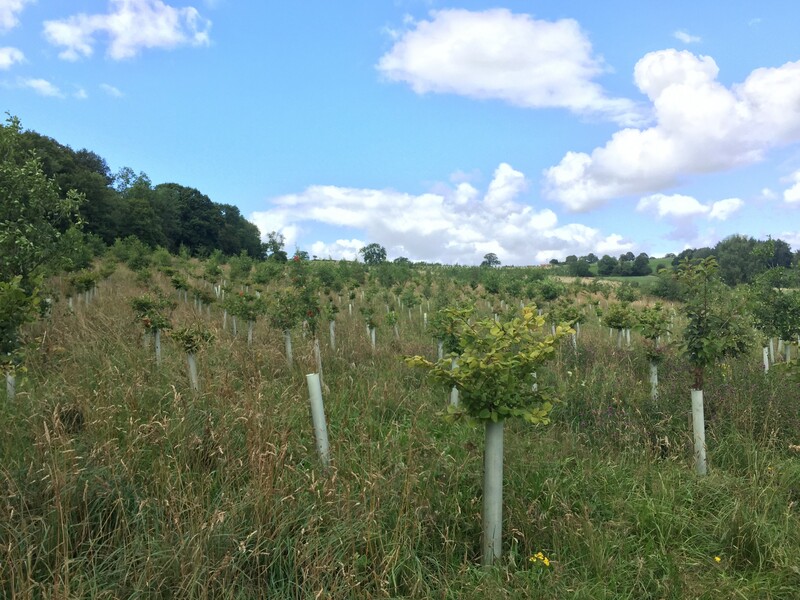 Mark Antcliff, Woodland Officer, undertook the challenge to establish enough alternative planting sites in the wider area to ensure there was no let loss. 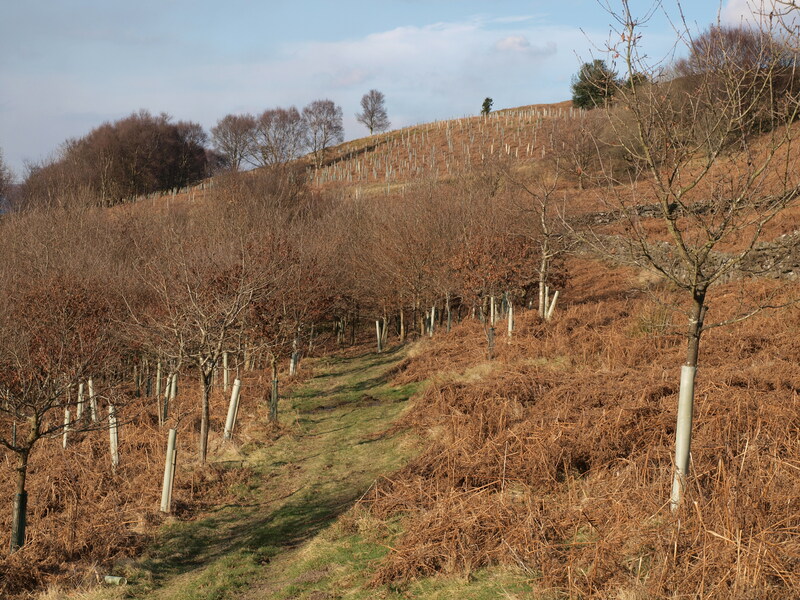 In all, nearly 36 hectares of new compensatory woodland was established including on the plantation site and also in other appropriate locations such as bracken dominated moor edge, thanks to willing landowners and land managers. With the access route improved and the felling licence in place the removal of timber started in the summer of 2015, and was completed by November 2016. The timber was of reasonable quality because the trees were over 30 years old and so could be sold on with some of the money made covering some of the costs entailed. 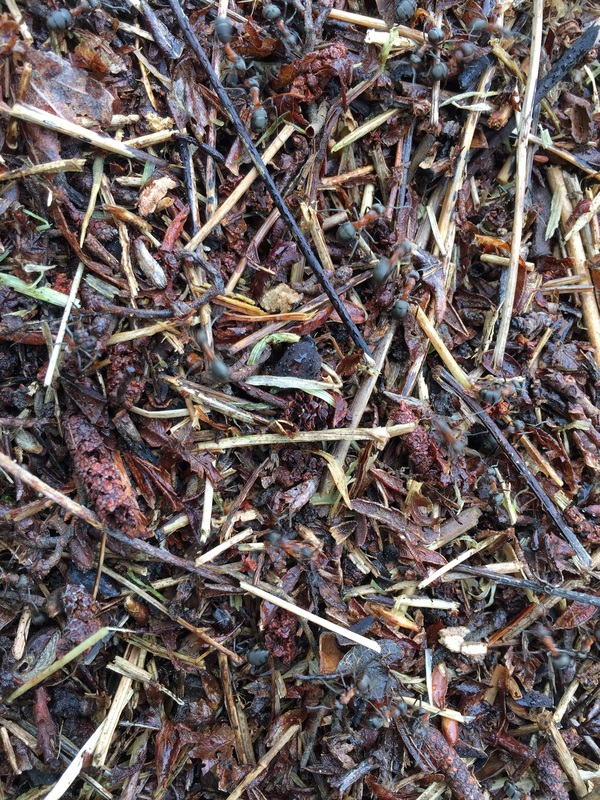 The work also created large amounts of brash, some of which remains on the site to decay naturally and some of which was removed to be used as biomass. In the winter of 2016/17 part of the felled site was replanted with oak and hazel, leaving the remainder (80% of the site) to naturally revert to heath and mire. The planted trees will need to be managed over the next three years to ensure they become established. This turned out to be a major project for one Woodland Officer, with occasional assistance. A project of this scale and complexity would be helped by having a project manager on the ground. Unavoidably the project relies on the good will and co-operation of landowners and tenants. It just couldn’t have happened otherwise. In all, because of the complexity of the project, seven different agreements were required to be brokered by the Authority. 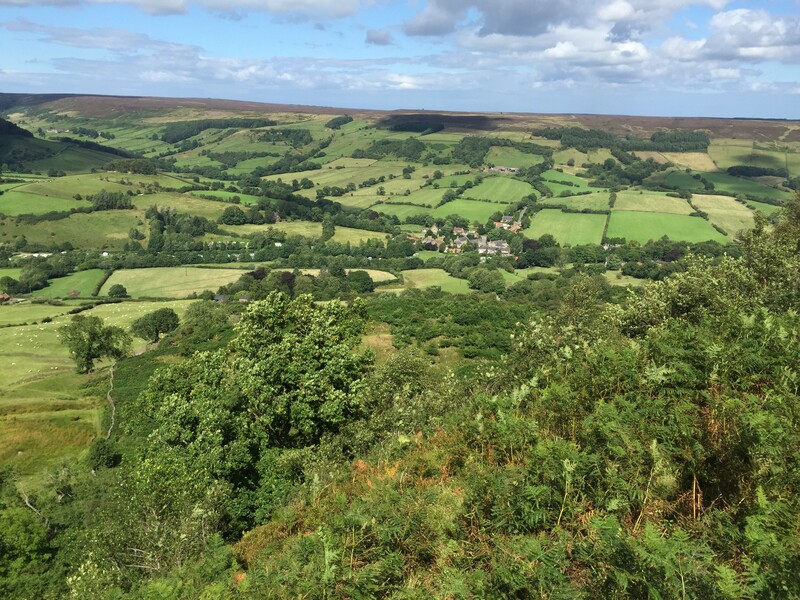 In the end a lot of time and resource was spent over a number of years, and as a result the landscape and environment of this part of the North York Moors has been significantly enhanced. When is a woodland a wood? The National Park Authority has played a role in creating more than 600 hectares of new native woodland since the turn of the century, with something in excess of half a million trees established. 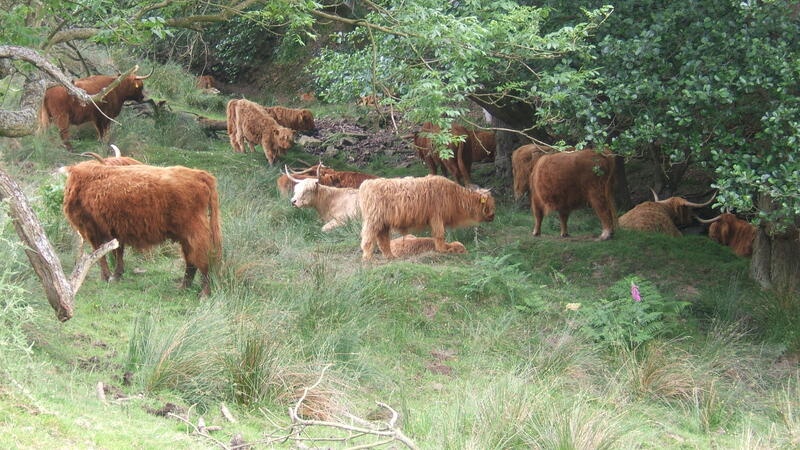 But when is a new woodland actually a wood and how do you measure the success of a habitat created? In terms of tree growth the first milestone is when the young trees are fully established and have outgrown the competing vegetation and the attention of voles, rabbits, deer and livestock and their teeth. The second is when the branches of the new neighbouring trees meet – this is called “canopy closure” – from which point the ground flora will alter as shade tolerant and shade loving species will have better success, including our beloved bluebells. Perhaps a third is when the new trees reach a stage where they could be used to produce wood and timber through thinning or coppicing. I was thoughtful of this question when revisiting a site that was planted about 16 years ago in Bilsdale. Here the area of an existing woodland had been extended by new planting, mainly young oak trees. There were some initial challenges caused by a faulty batch of plastic tree shelters that degraded faster than they should have leaving the new trees vulnerable. However the trees are now fully self-supporting and I can walk under them, which for me personally is a good moment as I can then consider myself in a wood rather than looking at it. The icing on the cake however is that some of the trees planted 16 years ago are now producing acorns, a sign that a true self-regenerating woodland has been created. Buoyed by such success we have, with the cooperation of the land owner and his agent, planted an additional area of 3 hectares this winter. I can’t wait to see how this new woodland extension looks in another 16 years’ time, alongside the ancient and post-millennial woods already in place. As a Woodland Officer, I do tend to think in the long term.